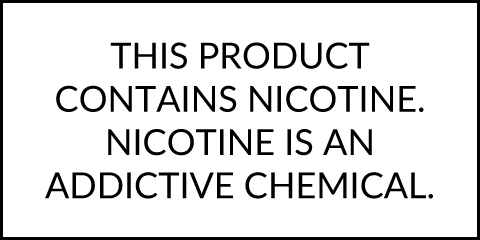 Very Cool Naked 100 Salt E-Liquid 30mL is an already great flavor from Naked 100's Menthol lineup that is now made with a salt nicotine for use with pod style vaporizers. This premium liquid is made from blackberries, raspberries and blueberries that are flash frozen, blended and then topped with a drizzle of honey. Together you have sweet and tangy finished off with a icy smooth aftertaste that is refreshing and just delicious. Naked 100 E-Liquids are made from top quality US-sourced ingredients in a clean lab facility where quality control is top priority. Each bottle is carefully crafted with a 50/50 VG/PG blend, making it perfect for use in pod devices. Pick up a 30mL child-resistant bottle of Very Cool with your choice of strength including 35mg or 50mg.